Product prices and availability are accurate as of 2019-03-17 21:20:44 EDT and are subject to change. Any price and availability information displayed on http://www.amazon.com/ at the time of purchase will apply to the purchase of this product. 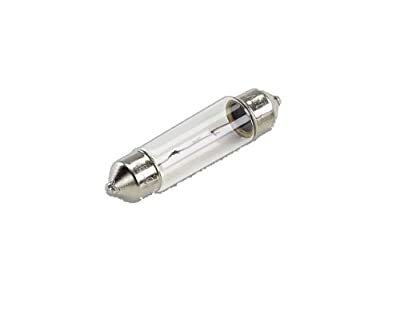 CSL Lighting LXC312-100 Xenon 3W 12-Volt Clear Festoon Lamps come in a pack of 100. Energy saving Xenon lamps have a rated lamp life of 9,000 to 10,000 hours (depending on manufacturer and quality) that evenly distribute light while producing 35-percent less heat than halogen bulbs, and can be handled when being installed without the use of a cloth to protect the bulb from the oils on your hands that will shorten the life of a halogen bulb. Xenon bulbs are installer friendly. LXC312-100 is 1.71875-Inch long and fits into festoon holders sold from CSL Lighting, and are to be used with 12-Volt systems only. LXC312-100 comes one hundred (100) bulbs per package. At CSL, we continue to lead the industry by offering amazing performance and design value in concealed linear lighting for Coves, Soffits and Under cabinet lighting. Our Invizilite, Mach 120, and Counter Attack series offers what may be the largest collection of halogen, xenon or fluorescent under-cabinet fixtures. Metal finishes including stainless steel, bronze and white are offered. Various cabling and switch options are available.